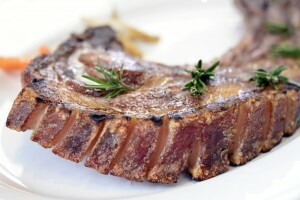 Chef-proprietor Giorgio Nava has declared June the month of pork at his two renowned Cape Town meat restaurants – Carne SA in the CBD and Carne on Kloof in the viby Kloof Street precinct. 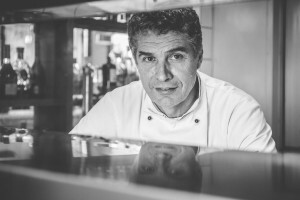 Chef Giorgio who pioneered a new approach to meat with the opening of his flagship Carne SA in Keerom Street in 2008, has created a dedicated pork menu of a chef’s special pasta and five prime pork cuts alongside his regular à la carte menu during June. In addition to his ever popular 600g grilled pork loin cutlet, Carne guests can satisfy their winter appetites with a host of grilled pork cuts including pork rack, pork neck and pork shank. His rich and hearty grilled pork belly is sure to be a winner as the seasonal chill starts to set in. For his special pasta dish, Chef Giorgio will be serving penne al pomodoro with pork ribs. “Pork is the perfect meat choice for our special winter menu – it’s cheaper than beef and you can enjoy healthy cuts with less hidden fat,” says Chef Giorgio. In July, lamb will take centre stage at both Carne eateries with a special menu of choice cuts such as lamb cutlet, lamb ribeye and lamb rump as well a delicious lamb ragu pasta. A champion of letting the meat do the talking, Chef Giorgio offers a wide variety of familiar and more unusual cuts. Contrary to most steak houses, you won’t find fancy marinades and sauces at his revered meat establishments, just the best quality cuts coated in the finest olive oil with a sprig of rosemary and a sliver of garlic in the true Italian minimalist tradition. 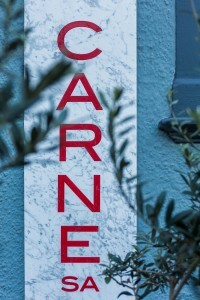 Carne SA in Keerom Street in the Cape Town CBD is open for dinner every evening from Mondays to Saturdays, whilst Carne on Kloof is open for lunch and dinner. For bookings, call: 021-424 3460 (Carne SA) or 021-426 5566 (Carne on Kloof) or email: info@carne-sa.com.